Jay Cutler: I am excited about bodybuilding again! The 4x Mr. Olympia Jay Cutler was one of the best bodybuilders ever to hit the bodybuilding stage. 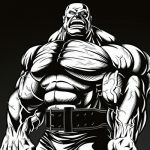 He is a proven bodybuilding legend with significant victories at the Olympia over bodybuilding greats such as Ronnie Coleman, Phil Heath, Kai Greene, Dexter Jackson, and many other top talented bodybuilders… Jay is not just another Olympia champ but a great ambassador for the sport and always been a bodybuilder who speaks his mind. In the above candidly talks Jay Cutler talks about his feelings concerning the 2018 Mr. Olympia and the level of excitement it brought this year. As always its great to hear Jay Cutler’s opinion, check out the above video!